According to the CMO council's 2006 Select & Connect report, 66.9% of those surveyed have no formal system for tracking marketing's role in customer acquisition, retention and value creation. Over 36% don't have a formal lead system for evaluating, grading and scoring leads and over 55% don't monitor churn and retention rates. "More specifically, the findings show that most marketers are not maintaining significant contact with customers--and when they do, they fail to systematically evaluate and track customers throughout the pipeline." These findings indicate that marketing is having a difficult time reorganizing for both focus on the customer and alignment with strategic business objectives. The report produces a laundry list of what needs work, which can be overwhelming when you're trying to determine the best way to make an impact without totally disrupting ongoing activities. From data integration to who has responsibility for generating customer conversations and interactions, there is a tremendous need for marketing to undergo a serious reinvention if it intends on becoming the driver of customer centric cultures within their organizations. The way to tackle this challenge is to use an iterative approach. Break off bite-sized pieces that will produce tangible results quickly and generate enthusiasm. Evaluate the strategic goals of the organization and determine how to shift marketing initiatives to more substantially contribute to achieving those goals. Take on one project at a time and plan for how that project extends into the next iteration. Once you have results, evaluate, make adjustments and add the extension project. Repeat. The projects with the most immediate impact are probably focused on achieving better quality leads by initiating interactions and creating conversations that enable marketing to better profile ideal customer targets and discover why the organization retains current customers. Until you know why your customers choose your products and services, how they use them and why they stick with you, you cannot meaningfully impact either end of this challenge. Marketing needs to get involved with customers if they are going to attract new ones and become a partner in the sales process. Synchronizing sales and marketing activities is a tremendous first project, but for it to be successful, marketing needs to raise credibility with the sales team. Take small successes and grow them. Trying to make a massive change at once is most likely too much upheaval to gain ready acceptance. Putting tools in place that extend marketing's view into the CRM system so they can, not only learn more about key customers, but participate in the sales process and monitor leads from generation through sales is one of the keys to synchronization. This knowledge will also prove marketing's contribution to sales and help the two departments work more closely together. Marketing's contribution has to be seen as helpful, proactive and impact sales results to give the sales force a reason to get on board. By providing insights to lead interactions and activities, marketing can set up sales for more productive conversations and shorten time to revenue. Don't get me wrong, I'm not minimizing this effort at all. In fact, the more interactions marketing has with prospects, the more expectations are being set that need to be consistently delivered across the organization. Marketing impact needs to stem from customer interactions, conversations and experiences. Being in touch with the customer is the key to choosing the right efforts to impact the customer lifecycle from lead to long-term loyalty. If you'd like to read the Select & Connect Report, it's available here. Marketing functions are the activities undertaken to create curiosity and capitalize on interest. They are about what you, as a company, can get. Most likely: web traffic, lead generation and attention. Marketing Competence is what your prospect/customer gets. This is the expression of your expertise (in a white paper, through your web content, from a case study, during a webinar), the valuable insights you can offer about what results your customers can achieve by using your products and services. It's the way you treat them and what these early interactions deliver that correlate to their expectations of the value you'll bring to the table (that they don't have) on a project. In a B2B complex sale, helping your prospects validate your command over relevant insights into their pain and demonstrating that you're capable of delivering meaningful solutions is critical. The norm today is mediocre customer experiences. You can rise above mediocre by focusing your online interactions on your competence. Helping prospects learn what they need to know to make wise decisions will make a huge difference in moving prospects through the sales pipeline. Focusing on customer needs should be front and center, along with attention paid to consistency in how your prospects experience your "brand" through marketing interactions. To successfully execute on competence, your goal is to transform data into insights that are expressed through the communication of meaningful information that builds to knowledge. By knowing what your customers are interested in accomplishing, and successfully helping them understand how to get there, by thoughtfully considering options, your competence is driving the interactions. Just getting their attention is hard. Marketing functions have their role. Moving beyond functions to competence is what will keep the focus on your company. Because it's a good choice and a wise investment of their most scarce resource--time. 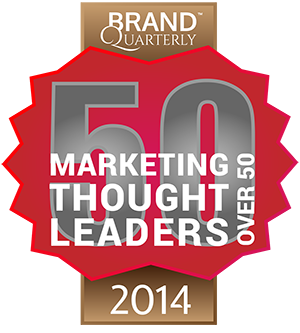 Many organizations spend upwards of 50% of their marketing budget for demand generation. Determining the effectiveness of these programs is often difficult. CRM systems only take you so far, often dependent on the data the salesperson thinks to enter. Sourcing a lead is one thing. Most companies can tie a lead to the initial source. Whether it was a banner ad click through, response to an email, an action precipitated by a direct mail piece or a trade show. But what happens next? Let's say that a lead moves swiftly through your pipeline and buys. What do you know? Do you know what expectations they have? Do you know which other online resources, knowledge and interactions built trust for your company? Do you know which messaging played a role and which left them cold? If the initial contact is replaced by a decision maker, does your system make the connection? Or do you lose the source connection because a new opportunity is created in the CRM? Do you know which collateral your salespeople used after marketing passed the prospect into the sales conversation? If you do know which collateral they used, do you know how they used it? The questions can go on, but I think you see the trend here. The trick to determining marketing effectiveness is in creating the connections that demonstrate the impact of the messaging. In a complex B2B sale, there are usually multiple knowledge transfer points where the lead learns, and has reinforced, why your solution, product or service is right for them. Done well, each interaction will escalate their involvement with your brand, further convincing them your company, not only has the right answer, but brings expertise to the table that they don't have in house. Add to this a process that facilitates feedback loops from sales and marketing can begin to see the process for conversion that can deliver consistent, repeatable results for specific types of leads (personas). With usage metrics, marketing can generate more of the type of messaging/content that produces this conversion pattern and wean out the messaging that falls flat. And that pretty much sums up the goal of effective demand generation. Can you prove what your 50% is generating? Marketers are charged with going beyond the buzz to deliver business results. It's no longer just about getting attention, but about creating conversions that generate revenue. Is your content geared for your customers and prospects or is it something that sounds good to you? Is it about you or about them? Does your company's personality come through? 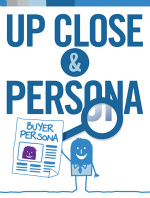 Develop a persona for your company. What face are you showing the world? Then look at your product copy. Which of the below makes you want to buy? Example 1: The HD280 Professional is Sennheiser's most significant closed, circumaural headphone to be introduced in years. Designed to exceed the demands of the professional environment, the HD280Pro boasts extremely robust construction combined with extensive features that meet the requirements of today's most demanding applications. The unique collapsible design combined with swiveling ear cups, offers maximum flexibility in any application. Example 2: Earbuds are great for listening to your iPod on the subway, but for at home listening you probably want some phones that’ll give you better sound quality. Sure, they’ll mess your hair up and make you look like a dork, but getting accurate sound placement while you’re listening to Rush you don’t want to mess around. These Sennheiser HD 280 Professional Headphones sound great, and they’re designed to sound excellent in a noisy environment, such as anywhere in Manhattan. They’re designed for pros, which means that an amateur music-loving schlub like yourself should be all set with them. The comfortable over-ear design will fill your head with amazing sound reproduction, not leaving out a single bit of whatever recording you’re listening to. And hey, you know what? They don’t look too bad. Sure, they’re kind of conspicuous, but why not let everyone on the R train know that you’re serious about your music and aren’t afraid to show it. They’ll be impressed, I swear. Thanks to GrokDotCom for the great examples. In B2B companies we're more serious, but I'm thinking there has to be a happy medium in there. We're still selling to people. In fact if you used the second example as a model, and wrote about a B2B product, showing the business value in a conversational way, wouldn't it be more engaging? Go back to thinking about who your company is. How your company relates to people. Don't veer to something overly personal if that's not your company. If you've read my latest eBook about The Interaction Value Track, you know that how your website interacts with and engages people determines if you build a relationship that will progress to a sales conversation. Your content sets expectations about what they can expect from your organization across the board. Make sure their experience is consistent no matter which medium they interact with. Make it personal. Make it about them. Marketing is more than tactical communications about awareness and consideration. Companies that want to compete at the speed of business today will need to engage existing customers and prospects in experiences that set their products and services apart from other choices. Nurturing is a big consideration. Creating the experiences that delight customers and build loyalty because the company they interact with is attuned to them and consistently answers their needs is now the expectation. The fact that many companies fall short on providing this experience is common knowledge. In fact, every time I have to find a new vendor, I cringe, thinking that the devil I know is better than a new one I'll have to learn how to minimize the pain of interacting with. The problem with what many call the "touchy and fuzzy" stuff of experience management is that it's hard to financially justify. There is a study out that shows 60% of senior executives don't think they deserve their customer's loyalty and that 66% don't have the tools or authority they need to serve their customers, and 51% think their products and services are not any different from others in the marketplace. We've all read or heard about the customer feedback that goes unused and isn't even provided to the people who could impact change. We can continue to minimize and ignore these statistics but, in the end, our companies will suffer. However, if you take the long-term vision about experience management, you'll see the results and be able to quantify them financially. For example, if your average customer longevity is 2 years, and you consistently work to improve their experiences with you, will you see that longevity increase? Or, if marketing provides a more informed and responsive, personalized nurturing process, will your sales cycle be shortened? I think yes, to both. But you have to plant a stake in the ground and start somewhere. And, you have to provide the tools and processes to support the effort. It begins with marketing. If marketing is responsible for the corporate messaging and the brand (what your customers believe about your company), then marketing needs to be involved in driving the experience across the enterprise. It goes further than the message to the behavior of the company as a whole. This is why analysts talk about reinventing marketing to take a seat at the executive table and why much of the latest advice to marketers is to learn how to talk business with the best of them. The bottom line is that it is all about the financial health of the company. But the impact on that financial health starts with marketing. Marketing is under a lot of pressure to prove value. Everyone spouts ROI, but there are so many flavors of ROI that it's important to pick the ones that have impact. Align marketing with the CEO's strategic objectives. If your company is focused on building customer loyalty and retention, a new advertising campaign may not be the right direction for marketing to take. Improving the customer experience is a better choice. Thinking like a business person and looking at impact across the organization can make marketing a valuable partner on the executive team. Determine what can be measured effectively and then be ruthless about doing it. How many times someone clicks on an a banner ad is not as important as what they do AFTER that. Knowing how often each online marketing resource is accessed and viewed by prospects or used by sales in a meeting are a better gauge of marketing's contribution to revenue generation. Where do they go after they click? After that? 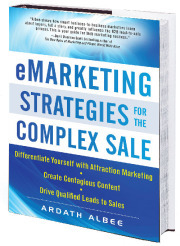 Become indispensable to sales. Teaching sales how to optimize messaging to convert prospects to customers is critical. Coaching them in creating interactions that drive a prospect to preference for your company's products and services is invaluable. Likewise, learning from the reactions from sales to the messaging can help marketing incorporate front-line knowledge into creating more effective materials. Helping sales close more deals will connect marketing and sales in a collaborative effort that's a win for the company. Being able to show the impact marketing has on a sale from lead to prospect to customer is huge. These suggestions only brush the surface of what's possible, but they are definitely a start in the reinvention of marketing that will bring it closer to being indispensable to the entire organization. How do your salespeople communicate with prospects? Is it a shot in the dark? Or, maybe they send something industry related and hope they catch the attention of the contact? If you know what someone is interested in, what they are viewing repeatedly at your website, then sales should be given information about how to further the specific interest of that prospect. But, what happens when the salesperson opens that blank email? What message do they send? I noticed you downloaded our whitepaper, "Super Powering Your Widgets for Success." Please let me know if I can answer any questions you may have. I delete these emails like junk mail. This company doesn't know me. They have no idea what I need and, from that email, they're counting on me to tell them how to sell to me. I might have downloaded their paper and not had time to read it yet. The email above is almost like giving me a homework assignment. Who has the time? However, had the email contained specific reasons why their paper and product was valuable to ME, I would make the time. If I was interested in that first paper, but not convinced, then the email above is the end. There's no offer of a next step that's not intrusive. There's no more knowledge showing me their expertise about how they can help me solve my business need. What your salespeople need are tools that help them write actionable email messaging that's consistent with your brand and the value proposition for the specific product or service the prospect is interested in learning about. Sales needs to provide specific reasons for that prospect to respond. They need to show the prospect that they bring expertise to the table. That they have something the prospect needs to handle their challenge. They need to build confidence. Trust will take a bit more work. In short, each communication needs to address the What's In It For Me question that gets the prospect's attention. If the message isn't on target, it's one click to the trash bin. Think about how differently a salesperson can respond if he is directed through selected value propositions and related resources to create follow-up that pro-actively directs the prospect forward a step at a time. It's well documented, that it takes multiple contacts to get to personal interaction during the complex B2B sales process. Depending on a combination of personal and organizational needs, the buying process can vary. Arming your salespeople with the appropriate messaging to use during the first, second, third, (etc.) communications in the sales process will increase the probability of moving the prospect through the sales funnel at an accelerated pace. Instead of a laundry list of resources in a sales library, show the related messaging that goes with each one. Only show the salesperson which messaging and resources go with each stage of the sales communication process. Depending on the campaign a lead responded to or their activity history at your website, define exactly what the next step is in moving that prospect forward. Make it easy. Don't leave it to the sales person to have to spend hours formulating messages because they don't have the time. Plus, try sending out 50 emails a day. Personalization goes out the window after the first five or six. If Marketing and Sales aren't working collaboratively, with each one contributing to impacting the sales process, your probability of developing a consistent, repeatable process is low. If the prospect's experience with sales is disconnected from their experience during their earlier stages with marketing, the job of closing the sale is much more difficult. Analytics are usually focused in the past. What did your last campaign achieve? How many impressions, clicks, opt-ins did it create? How many qualified leads did it generate? Do you see the commonality here? Past Tense. All of them. What it may tell you is if you hit an interest generator with your audience. What it won't tell you is where to go from that point. Sure, you can continue to create more volume, but then what? If Marketing is going to quantify it's place at the executive table, they need to be able to show how what they do actually impacts what keeps the company going forward. And that means revenues. More importantly, analytics needs to go beyond numbers and percentages and raw data. Analytics needs to paint a picture in terms of what's next. You need to know exactly what's impacting your leads, prospects and customers and be able to build on that. The whole purpose is to make sure the response the campaign generated turns into interest and then moves forward to preference for your company's products and services. By turning numerical results into a contextual view of what next steps were taken after the initial campaign response, marketing can see what direction the person is heading. They may have started out by clicking on a banner ad, then veered left to a different product on your website and read everything about that product. But, if you stop at, "Hey, they clicked on this ad, so they are interested in 'this' thing," you have missed the mark and dropped an opportunity. However, if your analytics stretches beyond first response and shows you what the person's true interest is, you now have a chance to shift your next action/response and meet a real need. Start a conversation. Give sales something valid to pursue. By turning analytics sideways, taking past response through current actions, they can move beyond filling the funnel to actually moving leads through it and transitioning them to prospects who welcome sales conversations. This will also have the added benefit of creating more beneficial interactions with the sales team. How are you managing your marketing analytics? For many organizations, an intranet, sales or customer portal is about having a place to display information of relevance. What if these online portals can create a connected base of expertise that organizations can tap to improve performance, as needed? There's an ongoing debate about the difference between information and knowledge. In the past, online initiatives have been about making information available. However, that information is only as rich as it's presentation. In other words, how often does it change to keep up with market, industry and company changes? How do insights in practice get applied to the information available on a portal? By creating a database of "experts" and giving them the interactive tools to connect to each other at the right time, you can improve and extend the knowledge of your organization beyond traditional boundaries. The idea is to create "communities of practice" by connecting people to those who can help them learn what they need to know to be more effective in real-time situations. Creating a portal as a community, whether it is internal (intranet), goal-specifc (sales portal) or reaching outward (customer portal) is one way to start. But, it's not about just the exchange of information. It's about connecting expertise that can be useful. Which isn't easy. A community effort needs facilitation to generate participation. This is not an "if you build it, they will come" situation. They talk about using "natural brokers," the natural leaders that people gravitate to for information. These people usually have more connections throughout your organization than others. They are the ones who can help boost participation and be proactive in helping others make connections. "...the greatest challenge in the world of intelligence gathering occurs not in data collection, but in making the connections that generate insight. A poorly connected intelligence community has a lower chance of turning data into useful knowledge..."
By creating a knowledge base of experts, your organization can begin to share the insights that are useful in obtaining strategic objectives. Give each person a profile. Include their picture. Also include a few professional details that help people who don't know them personally engage them in conversation more easily. Have each person select from a keyword database that will help others find them when their expertise, insights and opinions can help with a problem, project or innovation. Use your natural leaders to facilitate discussion forum topics and encourage others to submit thoughts, comments and even articles about related issues they are passionate about. If you are skeptical about the impact of establishing communities of practice, read the article. Some of the achievements companies have made are tremendous. The way to achieve improvements of scale through interactive expertise portals is to facilitate participation. If you don't connect the people in a meaningful way, then you'll have an information portal. Somehow, I think having an active community of practice portal leads to greater effectiveness and to a better experience.